With a name like "Gnarly Torque", FMF lets you know exactly what you're getting with their standout Gold Series Pipe. Specifically, the Gnarly Torque puts extra grunt in your bike's lower power band for more of a tractor-like pull. Also expect gains in mid-range power with no loss of top end for a very well-rounded power delivery. This pipe comes with FMF’s signature nickel plated finish and an 18 gauge steel construction that's much thicker and tougher than stock. This gives the Gnarly Torque great resistance to corrosion and backbone when faced with big hits. Together everything makes the FMF Gold Series Gnarly Torque Pipe a great choice any 2 stroke woods / enduro bike and for riders that know they'll hit technical terrain where torque and strength are must haves. Love this pipe! I have it on my 17 Beta 300RR. Has one on both my KX250's and my CR250 Best off road 2t pipe out there in my opinion. I've had several thru the years on several different bikes. Does exactly as stated. More low and mid power. Thicker steel, hard to bend or break. Excellent pipe ! I put this pipe on my 300 and could tell a considerable difference in bottom end, not to mention that it's a thicker wall. I ride mostly tight single track and I love the difference this made on the 300. Just purchased a new 6 days and put this on before I rode the bike. Great product and worked perfect!! Nothing special. Fit and finish is average. Noticeable power gains on the low end. Dents just as easily as any other pipe I've owned. Good product from a good company. This pipe has completely changed the performance of my bike. Before purchasing this I was considering buying a larger rear sprocket but now I do not think that it is necessary due to the increase in low rpm torque. The pipe arrived not in an FMF box and it was scratched up and the nickel plating was extremely poor quality. 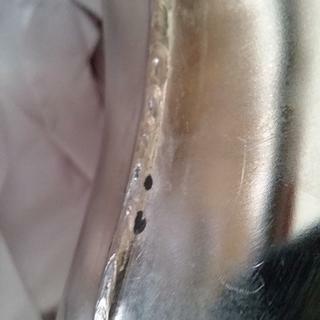 The weld beads looked an amateur welded the pipe up. I have buying FMF pipes since the 1970's but this one was junk. Replaced my stock pipe with this fmf gnarly. I also installed with the turbincore 2 as a set. Install was a quick and easy no issues at all. Looks and runs great! Definitely a difference bike runs great! Sounds good, bit of a noticable difference in low end, but happy with it. I was torn between going with a PC Platinum 2 for my woods pipe but decided to go with the FMF Gnarly bc I already had a FMF silencer. 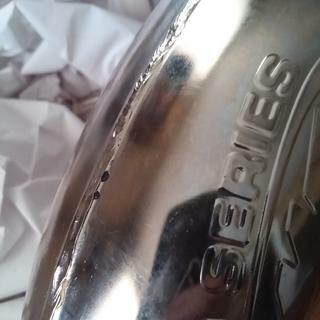 I received the pipe today and upon unpackaging it I had to rub it down to get the finish looking consistent which wasn't a big deal until all over the pipe my cloth was catching everywhere due to spots in the nickel plating being inconsistent. Also around the welds there was a lot of spots where fmf didnt get the pipe entirely coated with the nickel plating. I contacted RM MC so they could check their current stock to make sure their other pipes weren't like mine. RM was outstanding at offering to fix the issue, but as I told them the pipe will get rode, banged up, and muddy so to me it's not a huge deal but to a more particular person it may be a concern. Bolted right up no hassles, works as advertised more low end grunt and more top end as well. Simple to install, putting it to the test this coming weekend 8/4-8/5. damage. Does mode the power down the RPM range. Great pipe for the woods! 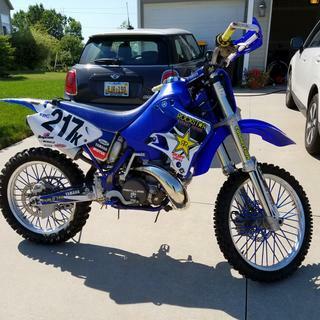 I bought this for my 250 xcw tpi after my buddy smashed my stock pipe (dont let boys ride your bike) and it really gave the bike better low end. I would definitely recommend! I went from a pro circuit to the FMF and I could instantly tell a lower torque difference. It did have a little glue on the pipe when I got it but was easily washed off. Best pipe ever. Good power. Fit and finish on point. Needs to include decals. Great Performance... Could be Improved. Nice pipe... adds a bit more pop at the bottom end. Changes the geometry a bit though.... near the top of the carburetor and therefore you now need to pull the carb when messing with the jets. Wish it was more durable. Caved it in a bit a few rides in.... then again most pipes have this problem. Like the title says this is a good pipe for the 250's. It gives you some nice extra low end grunt and because the 250's will rev higher than the 300's it won't rob all your top end. On the 300's stick with the fatty. They won't over rev as much as the 250's and you will end up with no top end. 2015 Beta X-Trainer easy install. This pipe bolted right up to my 2015 Beta X-Trainer with no problems. The pipe looks good and is a little heaver made than the stock pipe, so I'm hoping it doesn't dent as easily. I haven't had a chance to try it out on the bike yet. I'm in Montana and we still have a lot of snow on the ground in my area. I'll post again after I ride with the new pipe a few times. 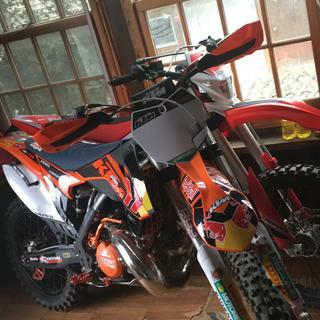 -m-2014 KTM 250 SX-- my bike is more aggressive and sounds like the real 2 stroke have to be !! Looks good and very easy to install!! The gnarly pipe looks pretty sweet on my bike, however I had to do a lot to get it installed. The rear portion of the pipe did not line up well at all. My guess is the exhaust port that fits into the exhaust flange was bent wrong. I got it to work with some effort. Upside is that the pipe is locked in tight so there is no vibrating noise. Rocky mountain had the pipe too my door quickly and in good packaging, This is my pipe of choice as our terrain is very rocky. Fit has always been exceptional with FMF and this pipe has a clearance dent for the new frame as it sits higher than in years past. Added more low end power and overall better throttle response, fitment was spot on. I like this pipe for the torque and extra material thickness. If your looking for power and reliability FMF is the pipe for you!! This FMF is out of the world! It's got everything you need weather you wanna chug the bike or just send it like larry! Best pipe out there and absolutely worth the money.. you can't go wrong with purchasing this or find other brand that's even close to compare to. When I bought my ktm, it had a gnarly on it. It was already bent. The curved part on the left side of the bike was really close to the starter. I rode it anyways. After one particular log smash, it was close enough to start melting the plastic of the starter cover. New pipe time. The old pipe wasn't dented, just bent, so I really wasn't expecting any performance difference. I was wrong. That bike came alive! I wish I had done it sooner! Noticeable torque gains over stock pipe. This pipe offers a noticeable improvement in low end torque over the stock pipe and it looks better too. It's a lot more sturdy and well built than the stocker. You notice the difference in weight when you install it. Overall, I'm very pleased with it so far. More bite off the bottom and a very meaty mid. I haven't noticed a loss of top end either. Very happy with the pipe. The pipe added a lot of power to all rage of bike love it! Best pipe on the market. -m-2001 HONDA CR500R-- great for getting more bottom to midrange power to your bike. It is more responsive when you ride. Love the pipe. Definitely more bottom end torque than stock. It does seem to top out each gear a lot sooner. 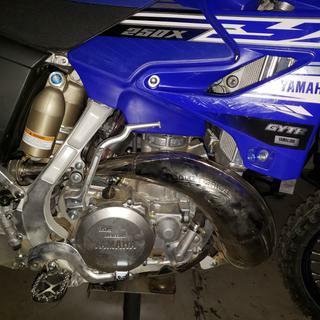 This pipe looks fantastic, and definitely gave my '01 YZ250 some "gnarly" torque at low-end. Top-end performance is still very good. This thing can take some fairly solid hits too! If you have a different pipe or a stock pipe, you will almost definitely need to re-jet your carb. I switched from a Pro Circuit works pipe after a tree stump gashed a hole in my pipe. I never had issues with the PC pipe, with the factory jetting. After installing this pipe, I had a lot of issues with running extremely hot, due to running rich. I set my carb up to the FMF recommended settings, and it is much better now. I basically only ride hare scrambles, so it's typically lower speeds down single tracks. I may need to go down 1 or 2 more main jet sizes, but I'm pretty happy with the set-up now. Do I need to re jet the carb after installing this pipe? Generally speaking, you do not need to rejet the carb when you install the Gnarly. 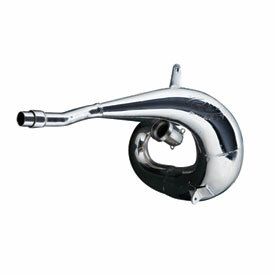 This pipe adds low end torque and smooths out the hit overall. If you did need to make a jetting change, I would say it would be at the pilot jet. I have only had to dial in the air screw. Most bikes you will need to rejet. Most likely a main jet and a needle change or just needle position. The PJ is probably ok, but check into it and see what other riders with same bike and same altitude are running. i did not need to rejet mine after putting on the knarly pipe, i would say if your jetting is correct before install it will be the same. I'm in FL, I didn't have too, bike was little fat anyway. I believe fmf says on instructions that it does not require jetting. Does a factory silencer fit this head pipe? 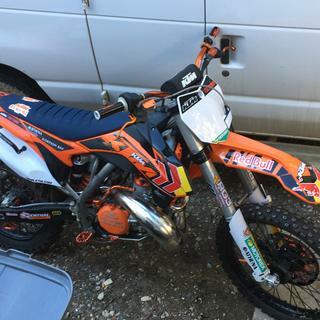 I have 2010 KTM 200XC-W. Thanks. BEST ANSWER: After owning several FMF pipes for my KTMs over the years ,I never had a problem for fitment of OEM and other aftermarket (enduro engineering) silencers.Pick and choose your favorite FMF pipe for your style and terrain. 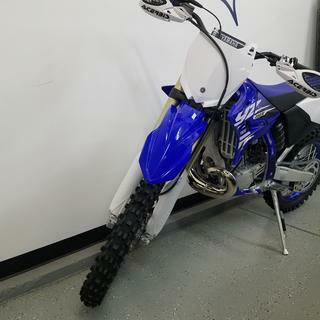 I love the Gnarly for low to mid rpm torque for tight trails.I had a 2004 EXC and the Gnarly with a powercore silencer, it enhanced bottom end response and allowed me to carry a gear high with less clutch work. If you can afford the silencer I recommend it as it is much lighter and performance oriented than stock,. the Q series is a great choice if low sound is important in your area. If you want to keep your stock silencer, repack the core for quiet performance ,. I believe it will fit just fine and you should notice a performance increase over a stock KTM pipe. A Gnarly pipe will kill a little bit of over-rev because of its design to enhance low end grunt. 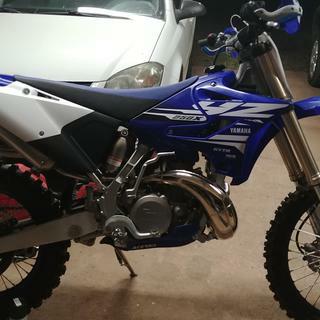 I had already put on a FMF silencer which fit right on my stock pipe. When I put on the FMF gnarly pipe it fit right up on my 99 Ktm 300. So I'd say yes it will fit stock silencer. Mine on my 2015 Husqvarna te300 fit perfectly. I'm not too sure about the KTM but I would think it would fit perfectly too. What Carbon Pipe Guard will fit this Pipe for the KTM 17 300XC ? BEST ANSWER: I am using a Hyde Racing skid plate πpe protector . The fitment is a little bit off as the Gnarly bend is a bit different than the stock pipe. The leading edge of the guard was in contact with the pipe bulge,so I placed a bit of heat reflective tape from Rocky MT/MC to stop any melting. Also the plastic is willing to bend and form a bit as you tighten the clamps for mounting for a good (but not perfect fit). I have had carbon fiber guards on gnarly pipes (made to fit stock pipes). problem is with the air gaps & the hard material that the carbon fiber offers, crushes & cracks due too not the best fitment. The Hyde full skid plate will work with a little adjusting & flexing, carbon fiber cannot do the same. Another great feature of the Hyde is that a log strike is dissipated thru the plate & to the frame & mounts, and not to the pipe, pipe flange /cylinder outlet as most other guards allow. Kevin, I don't have a carbon fiber pipe guard. However, I highly recommend the Tusk Aluminum Pipe Guard Silver | Fits: 2016 KTM 300 XC |Part# 1303690001 | Our Price: $25.99. I have used these bendable pipe guards on my last 5 2-stroke bikes including my XC300. I've crashed my bike many times over the years and the aluminum pipe guard has taken the hit preventing pipe damage. The added weight is minimal so go for it. P3 makes one. It’s the one I have fits perfect. 2014 KTM 300 XC - Will the FMF Gnarly pipe fit the stock silencer? BEST ANSWER: I would guess yes because I used the stock pipe on the fmf turbine core 2. Be forewarned that the gnarly will wipe out your top end.....as in gone. It'll boost the low end and if your;e okay with that go for it. I'm not a fast rider and I ride tech single track and I think the next time I will get the fatty instead. my stock silencer worked with this pipe,it was nice and quiet! Yes the FMF Gnarly pipe fill fit the stock silencer perfectly. Yes, this will fit with the stock silencer. Will a carbon fiber guard for the stock pipe fit this pipe? I have a 2010 and a 2017 KTM 250XC, and have carbon fiber guards (E-Line on the 2010 and P3 on the 2017) on both pipes (FMF Gnarly). 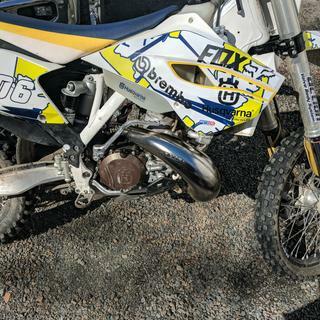 You do have to do some research though to make sure you get the correct guard/fitment, as FMF slightly changed the shape of their pipes in 2013 (according to RM and FMF). 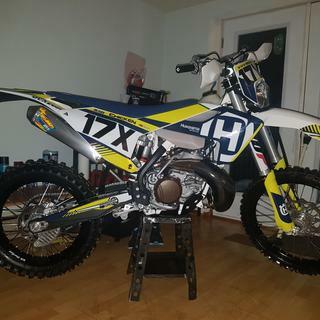 Hi Michael, I am not 100 % sure but I do believe there wasn't much of a size difference from my stock pipe and the new FMF Gold Series pipe so it should fit from what I could tell. 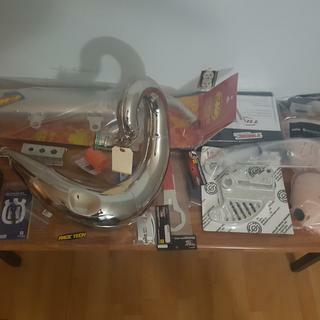 The FMF pipe shape was very similar to my stock pipe. Yes it will. May take a little extra pressure to get it on there, but it will fit. Most importantly, it will provide protection for the pipe. Probably depends on the bike. On a 2018 KTM 300 XC absolutely not. How much different is the gnarly torque than the gnarly woods? BEST ANSWER: I replaced my FMF Fatty Pipe and Power Core Silencer with the gnarly pipe and FMF Turbine Core II Q Silencer. To be fair, I also added a Stealthy flywheel weight at the same time. PRO's: I did see more bottom end torque and not having to worry about clutching the bike on all the tight wood turns. it would chug along. CON's: the turbo core silencer is a lot longer than a standard silencer. It looks odd and sometimes a pain getting your leg over the seat. Overall, I am happy with the change and would recommend the pipe. I have the Gnarly torque on my CR500...never ridden the woods version so cant compare those two. I did the full FMF tune to go with my pipe. It actually made my bike crisper and more snappy...lol...not really what I was looking for. The Torque slightly flattened the top end out but thats the only difference I notice. Usage is tight woods and old guy motocross. Hth. I believe that Gnarly torque/woods is the same pipe designed for bottom to mid gains in torque and HP. The enduro style pipe uses a thicker gauge steel than the motocross styles to ward off dents in off road conditions.If you want more low rpm grunt & like to carry a gear high ,the Gnarly is a nice choice . I got the Gnarly Torque for my 2013 KTM 300 XC and noticed a definite improvement in the low end. Can't comment on the Woods version but I'd say FMF is accurate in their tuning so it probably does what they say. My son says it is the best pipe he has owned. It takes a beating and still performs. Is the "Gnarly Torque" the same as the Gnarly ? ?...never heard it called the gnarly torque before !! BEST ANSWER: FMF had made a "Gnarly Woods" pipe, which was for the old Kawasaki KDX machines. Outside of that I think a Gnarly ia a Gnarly. It does create more low end torque. As long as the fitment is correct it's a Gnarly. As far as I know its always been a torque pipe. We ran them on our Banshees back in the 90's and the dealer always told us they were used for more torque. Gnarly has always been the bottom to mid rpm range pipe from fmf. I run this pipe on my CR500AF and my Eric Gorr Racing Rm 300 kit! Yes it is the same, the added “torque” to let you know the type of power and the pipe will give you. Does this pipe come with the exhaust o-rings? BEST ANSWER: Yes. Great pipe! Does this come with new springs and o-rings? New o-rings but no springs. 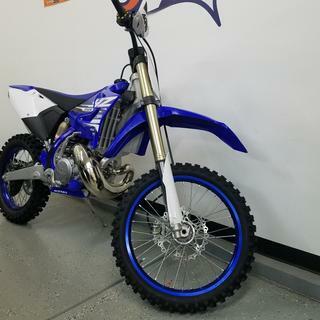 Will narley pipe that fits a 2019 xcw 300 also fit a 2019 xc 300 ? Will this fit 1991 rm 125 ? BEST ANSWER: Unfortunately, it will not. Will this pipe that is for a 2014 200 fit a 16 250 xc? BEST ANSWER: It will not. Would it fit a 1997 300exc?